If you pay attention to sound financial advice you know that it is best to start planning for retirement as soon as you start working. Putting away money into a retirement account when you are in your early 20s is the best way to make sure you have a retirement savings account that has healthy growth throughout your working life. Going beyond your retirement planning it is best to make sure you are covered for whatever health issues come your way. For the average American over the age of 65 years old, 70% or more will need long term care in their life. With those odds, it is most wise to have a back-up insurance strategy to fall back on when you need it most. Health insurance only pays for doctor and hospital bills. Medicare only covers short-term nursing home care. Medicaid only pays for care if your assets are very limited. Being financially protected is the best way to make sure you have the care you need and it frees you from worrying about financial needs in the future. If you are in need of long term care, it costs over $40,000 per year to hire an in-home health aide and over $70,000 to live in a nursing home on average in the US. The money to pay for these services doesn’t come from health insurance, it comes from your retirement or your family’s pocket. Unless you have set up a long term care protection plan. This gives you a separate source of revenue to tap into in case you are a part of the 70% who will need long term care. 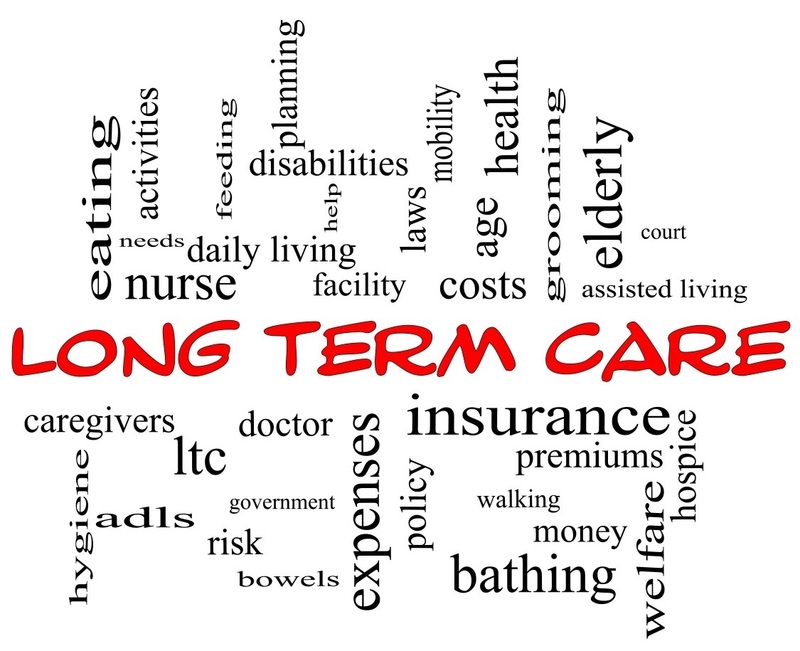 When a parent or an older family member runs into medical issues that require long term care, it is more often than not the adult children or a close relation who is tasked with taking on the responsibility of care. This could be either doing the daily care-giving or providing the finances for their loved one to be cared for. As mentioned above, nursing homes are very costly and can quickly become a huge burden for a family member to take on in addition to their own personal expenses. Due to the high cost of nursing homes, many choose to care for their older relatives in their own homes in order to make life more affordable. This is a dramatic life-style change for anyone who isn’t used to being a daily caregiver for an older adult. By setting up a long term care protection plan, you will be relieving the financial burden as well as the challenging lifestyle change. Even if a family member wants you to live in their home, with a care protection plan in place you will be able to pay for in-home care from an experienced professional. The best time to purchase long term insurance is when you are in your 40s or 50s while in good health. This is when the premiums will still be most affordable. As you plan for the future, there is more to think about than just your retirement fund. Planning for the unexpected, such as long term care, is the most thorough way in which you can get the high-quality care you need in the setting of your choice, and have the financial backing to do it without burdening your family.